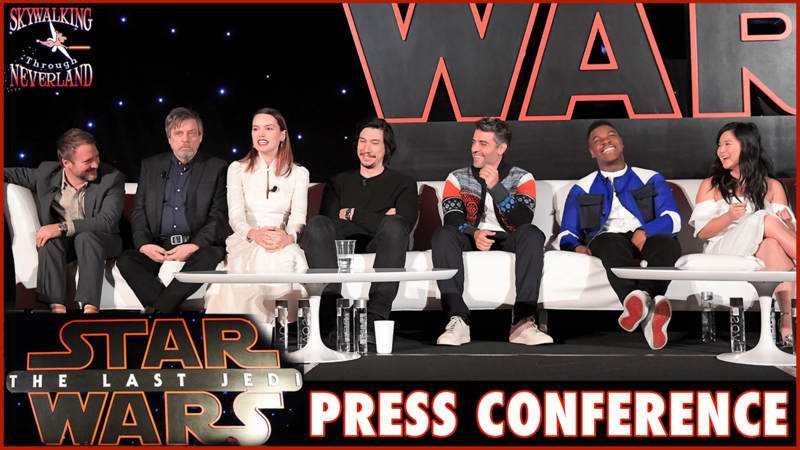 STAR WARS: THE LAST JEDI is almost here, and we attended the Global Press Event held right here in Los Angeles! James Burns (JediNews) joins us for our big Podcast Crossover Episode where we bring you audio highlights from the event, including sound bytes from the cast of the film and director Rian Johnson. Daisy Ridley, Gwendoline Christie, Laura Dern, Mark Hamill and more – all had completely interesting, yet completely puzzling things to say. Both Richard and James were able to ask questions at the Press Conference! We also have interviews with Amy Jansen (Little Bits) about Build-A-Droid Kits and Hunter Gibson (Disney Consumer Products and Interactive Media) talks about the Jedi Challenge Game. Skywalker Shout-Outs – Is there TOO MUCH Star Wars merchandise now? Let’s discuss. Skywalker of the Week – this one may surprise you!